Queen Elizabeth and Prince Philip wave despite the rain during the royal procession. 2. Queen Elizabeth and Prince Philip wave despite the rain during the royal procession. 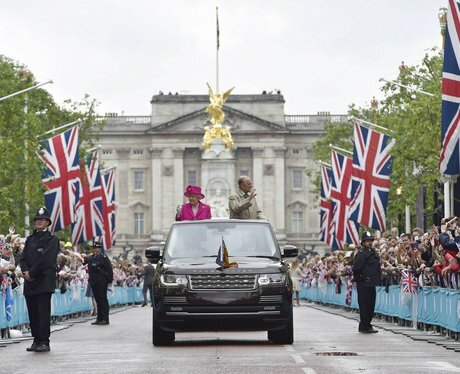 Rainy conditions did not dampened the spirits of guests at a picnic lunch in London, which were the last of the events for the Queen's official birthday.